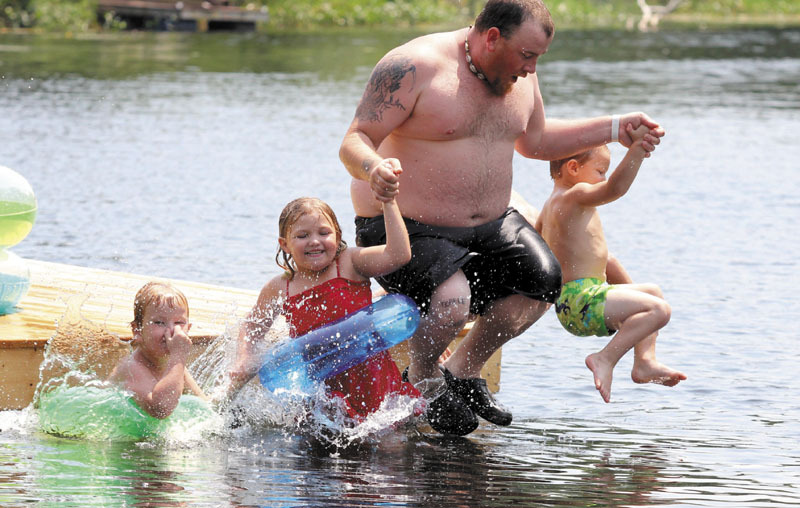 Jason Madore of Vassalboro jumps off a floating swim dock with three of his kids while cooling off in the middle of Outlet Stream in North Vassalboro on Sunday. From left to right are Jayden Madore, 5, Miah Deckard, 5, and Kendrick Williamson, 4. Hot and humid weather is forecast to persist for the next couple of days.